Is It Bad If My Child Loses Their Teeth Prematurely? It’s so exciting when a child starts losing teeth. It means you can start talking about the tooth fairy, it’s a sign of growth and development, and there’s not much more adorable than a kid with a giant smile with a tooth or two missing. However, some children can lose their teeth prematurely, which can lead to various complications and negatively affect their smiles down the road. 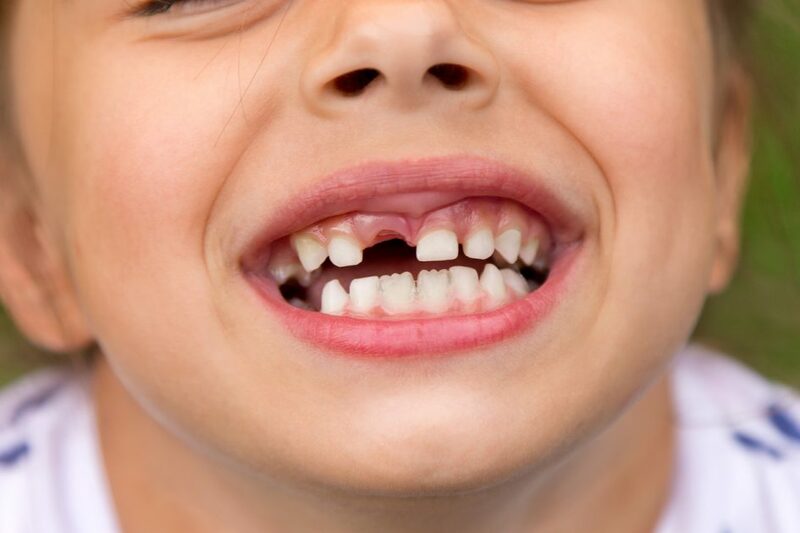 If your child seems to be losing his or her teeth a little too early due to cavities, decay, or an accident, it’s time to contact Pediatric Dentistry of Suffolk County. What Is A Pediatric Partial? A pediatric partial is a dental device that can take the place of your child’s missing baby teeth to keep the gap from closing up, prevent the surrounding teeth from unnecessary movement, restore appearance, help speech, and to ensure the growth of the permanent teeth is on track. What Are Pediatric Partials Made Of? Pediatric partials are composed of a special mold of your child’s teeth to make them look normal, natural, and beautiful. The piece will take the place of the missing tooth and remain there until the permanent teeth erupt. You and your child will most likely need to visit our office to make any necessary adjustments for comfort and better fitting. How Do You Take Care Of A Pediatric Partial? Taking care of a pediatric partial is very similar to taking care of your own teeth. This appliance can be a trap for plaque and bacteria, so without proper care, conditions can worsen. It’s important to brush around the appliance twice a day, use mouthwash, and come in for regular dental cleanings. If your child has prematurely missing teeth, come in and visit us today! We are specialized in making beautiful smiles and extremely knowledgeable about various dental procedures when it comes to children. Contact us today for more information, and we look forward to hearing from you!